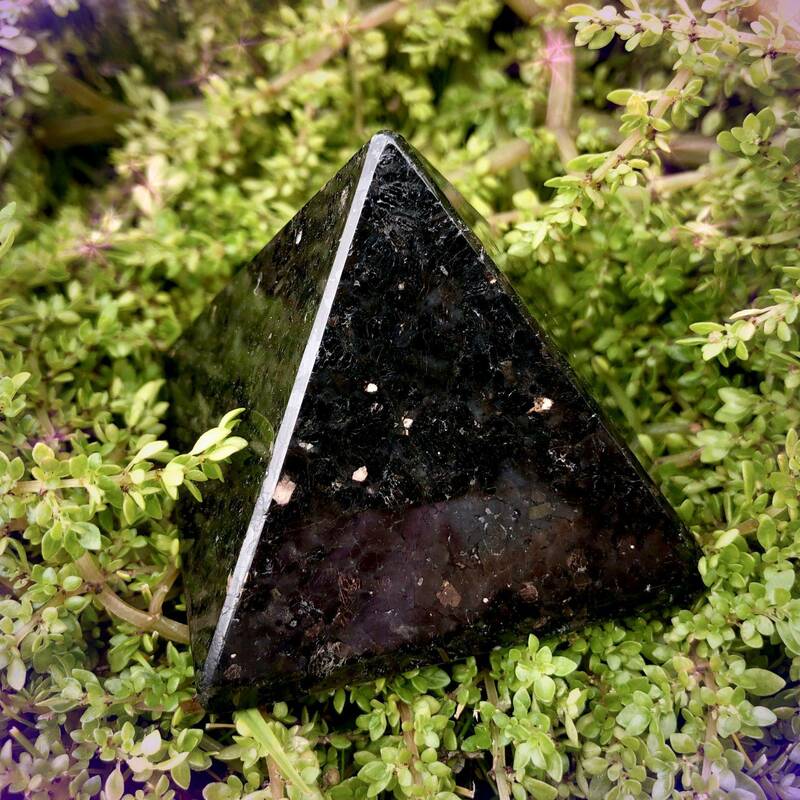 Rare, dark, and mysterious – this is the energy of these Sacred Magic Nuummite Pyramids. Are you currently walking the road of spiritual exploration and expansion? Do you feel ready to align with new levels of consciousness and power? If so, these pyramids are for you. Work with them as you walk your soul path; allow them to ground and protect you as you navigate your journey. Nuummite is found in only one region of Greenland, a remote icy place where almost nothing grows – yet under layers of time and history, you will find this incredible black stone. This gem is mined only three months of the year during the warm season. Known as the Sorcerer’s Stone, nuummite is a talisman of soul exploration, ancient wisdom, and elder connection. It is a stone that predates almost any material on the planet, and it holds the entire history of time within it. 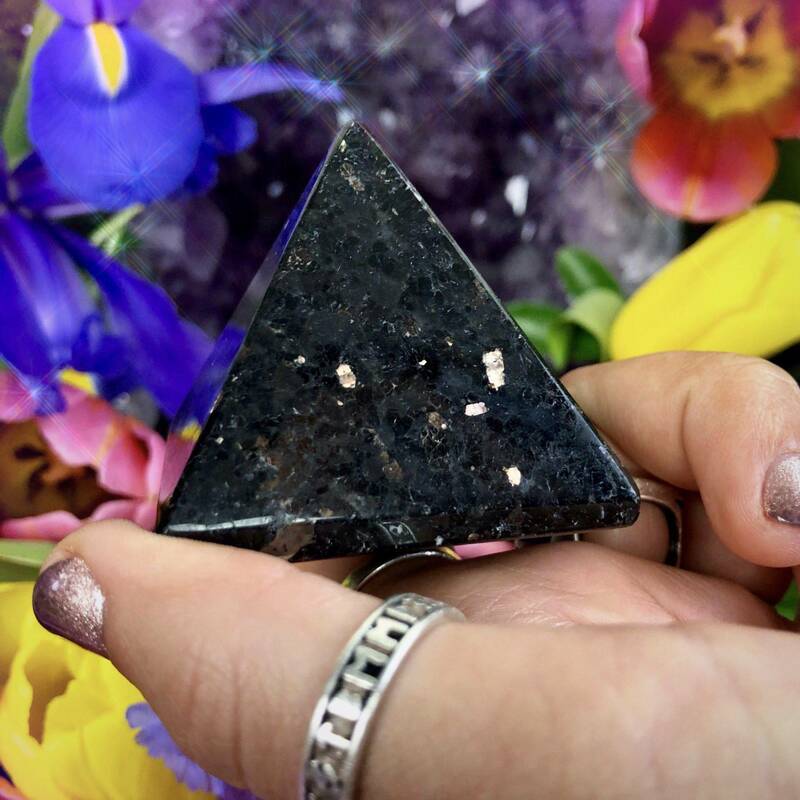 Nuummite is also known to powerfully open and activate the Root Chakra, connecting you deeply with the earth. 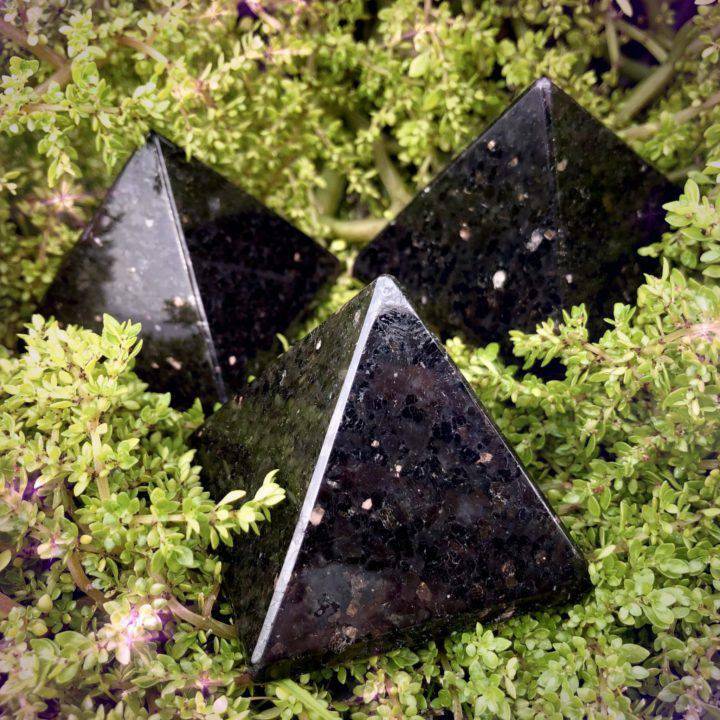 Place one of these Sacred Magic Nuummite Pyramids on your altar, bedside, or anywhere you wish to surround in its otherworldly magic. I also recommend holding yours in meditation. However you choose to use yours, may it serve you well; may it support, empower, and guide you on the search for your highest good. This listing is for one (1) Sacred Magic Nuummite Pyramid (about 2”). Yours will arrive lovingly parceled along with a single leaf of white sage and a card describing the properties of the stone.